Teri had dated more men than she´d had low-calorie, low-fat dinners and still hadn´t found Mr. Right. She´d been through all of the other Mr.Men though, in a short history of painful relationships - Mr. Lazy, Mr.Greedy, Mr. Completely Selfish, Mr. Looking-for-mother-substitute and Mr.Downright Pervert - but as yet, no Mr. Right. 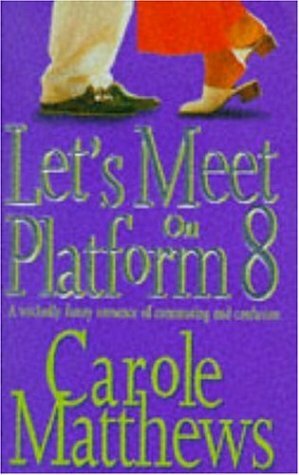 Hum, not the best book by Carole Matthews. I have read many of her books and this one is my least favourite one. She is addressing serious subject but it just does not work out. And what is with the ending??? Congratulations, you won the INTL RABCK Sweepstakes :) Hope you will enjoy this book. Thank you for the book. I have never read this author before and will be glad to give her a try. I have not read this author before so there was no expectation. I read this when I was sick with the flu, and it was the perfect light-hearted quick read that suited my energy level. I enjoyed it. To the winner of the Chic lit and chocolate Sweepstakes. Sorry for taking so long to send. Enjoy. Thank you for the book and chocolate. "Your manuscript is both good and original, but the part that is good is not original and the part that is original is not good."